This book is yours for FREE! Just pay the shipping directly to your door. 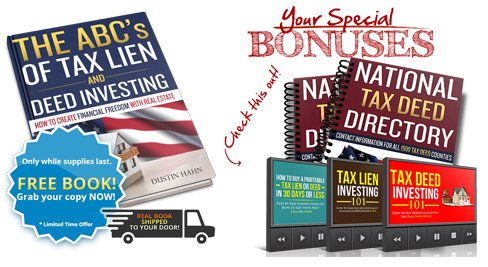 Take the book with you to the tax sales, and use it to succeed with Tax Liens & Deeds and grow your wealth!